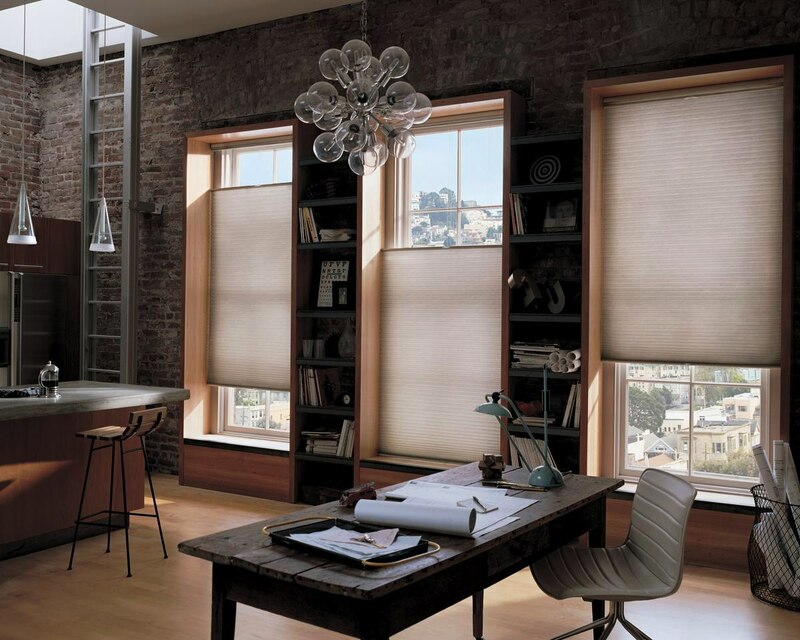 Pleated blinds Day and Night is a type of pleated blinds which are made of two kind of fabric. 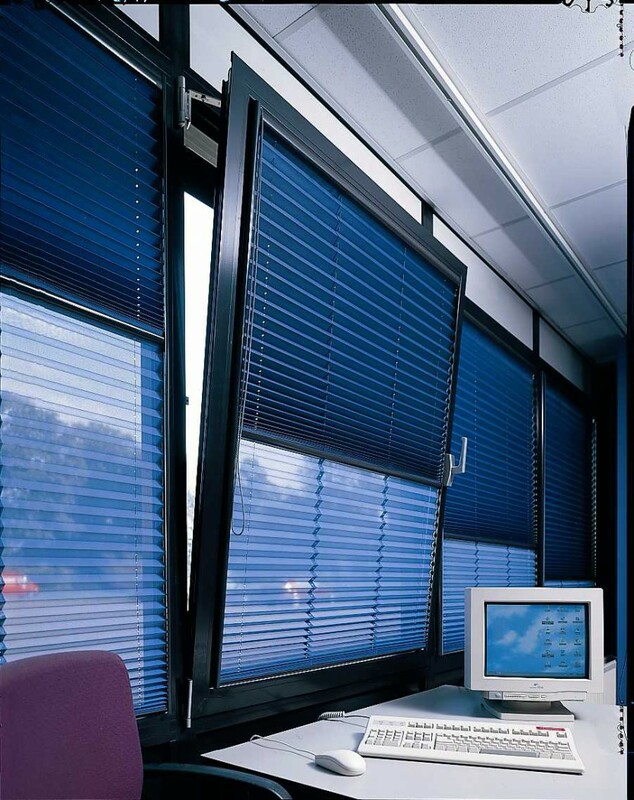 Advantages of this kind of blinds are that they allow wider kind of regulation of the light passaging into the room due to usage of one or another kind of fabric and also it is possible to choose them depending on the weather condition outside. For example: It is possible to lower the denser fabric when it’s sunny outside, and to lower the lighter fabric when it’s raining. Non-transparent fabric is more effective to achieve the greatest dimming. Sheer curtain is used during a day for the better lighting of the room and the possibility to view the situation outside the window. Pleated blinds Day and Night can be lifted all the way up to the ledge, just like classic blinds, to get an access to the glass. 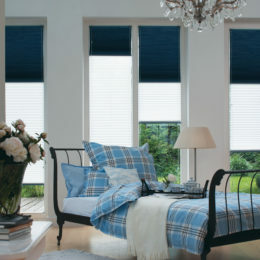 Although, in the lifted state, pleated blinds have some height, as they have pleats. Pleated blinds Day and Night, therefore, will occupy more space when lifted, as they will have two of pleated parts. Thin fabrics are more compact than dense fabric when lifted.